For the upgrade to be done as quick as possible it is important to do some work before it, like downloading the files from Cisco, uploading them to switches and running checks. 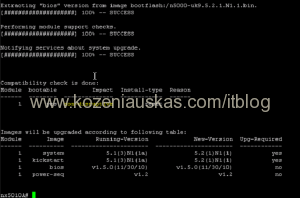 copy tftp://x.x.x.x/kickstart_or_system.bin bootflash: <=== replace x.x.x.x with TFTP server IP, kickstart_or_system.bin with your Kickstart or System file name. Note: In Vblock upload files to both switches. Copy operation might take some time. Once both Kickstart and System files are uploaded verify that the file size of both files is correct. 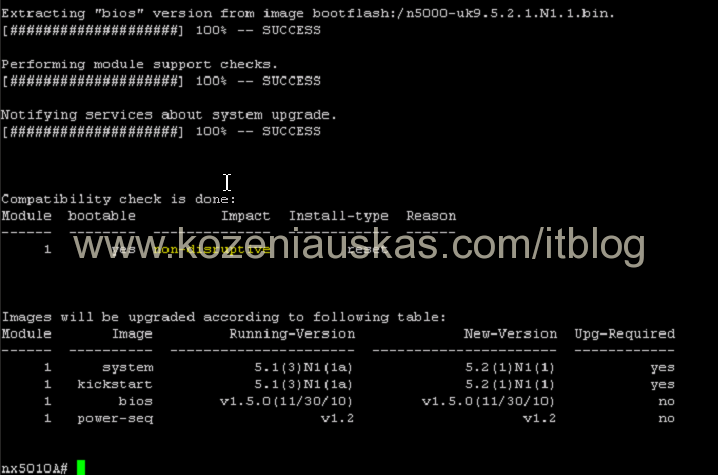 show compatibility system bootflash:system.bin <=== replace system.bin with your System file name. 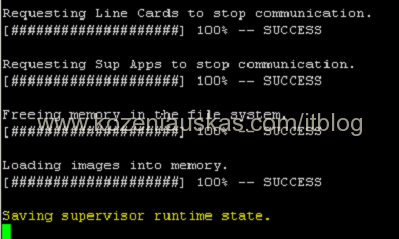 show install all impact kickstart kickstart.bin system system.bin <=== replace kickstart.bin and system.bin with your Kickstart and System file names. There is also show fex to verify that all fabric extenders are reachable but in the Vblock there are no extenders connected to the switches so this can be skipped. Once steps 1 – 9 are completed and all are OK you can proceed to upgrade. install all kickstart kickstart.bin system system.bin <=== replace kickstart.bin and system.bin with your Kickstart and System file names. message as the switch is rebooting. This should take about 5 minutes. Ping it to find out when it is back online. Login to the switch and check upgrade status. If upgrade went ok you should see that it was successful. Verify that everything is working as expected. In Vblock once you’ve verified that primary switch is working fine, upgrade the secondary switch.